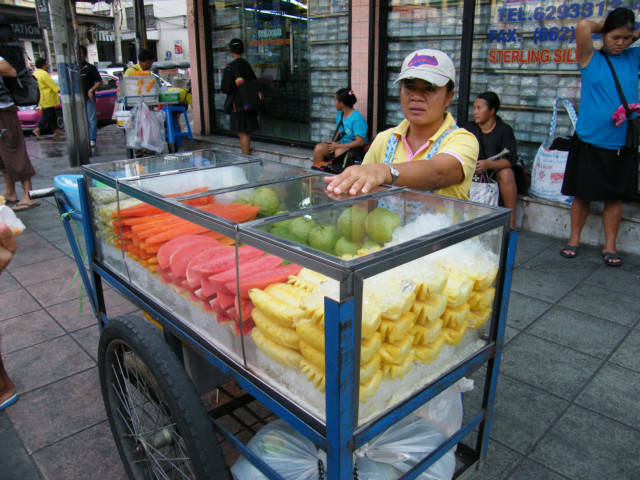 Learn how Thailand prepares a Pineapple to be sold by street vendors. This video was made in the hope that people in West Africa can earn more money selling Pineapples using this method of preparation. It is a good idea that needs pass along. This is a gift to West Africa, a good idea… from Thailand. 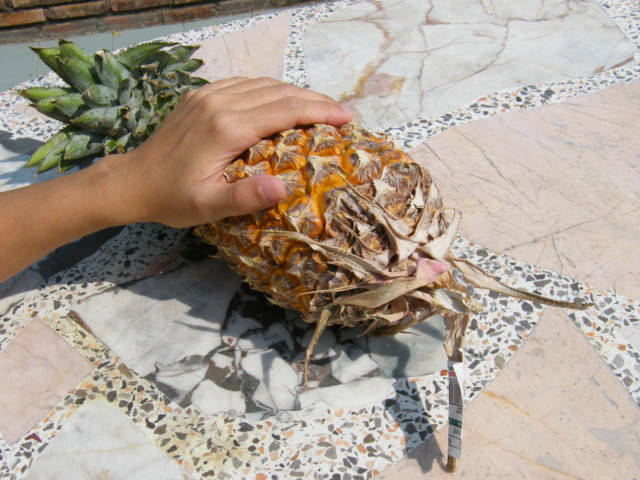 This is what happens when a Thailand girl or person puts there hands on a Pineapple, what comes after they finished is great to eat. However, you make the stew, the problem to me is this, we need to share recipes, we need to share ideas, and good ideas could make a better life for a family. I think we need to pass them around, easy to do now with a video we put on the internet for all to see. There are many Pineapples for sale in West Africa, and it appears to me, if the vendors of West Africa, Ghana, Benin, Togo, Ivory Coast etc. 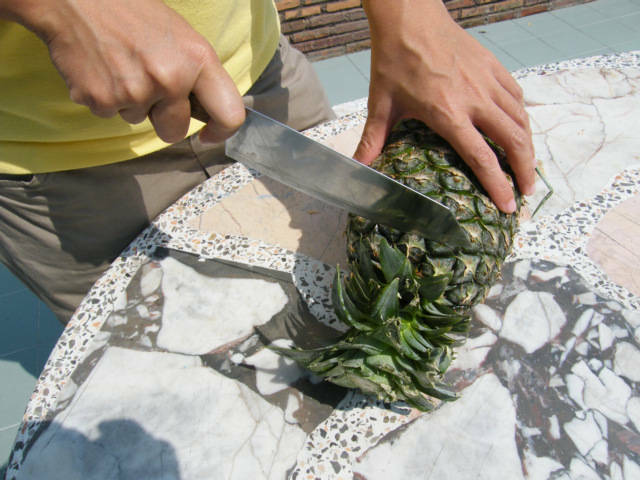 would cut up a Pineapple and sells this way, a family could have more money, and this very healthy food would be eaten more. I suppose when I was there, I should have videoed the way West Africa cut the peeling off an Orange and sold it. Take care, a Thailand girl with a knife. 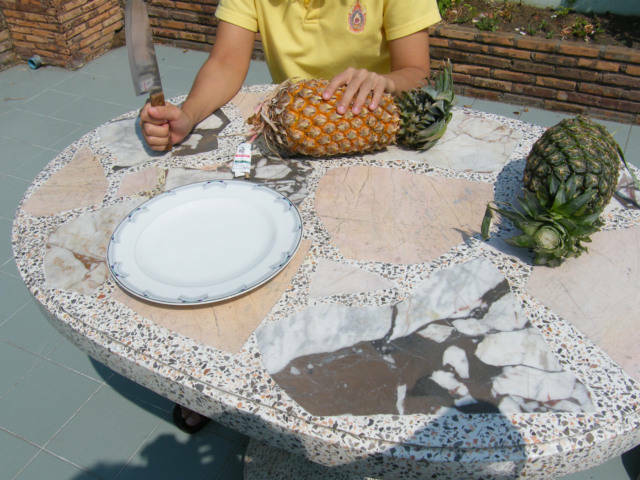 The start of the process of preparing a Thailand Pineapple to be eaten or sold by the public. 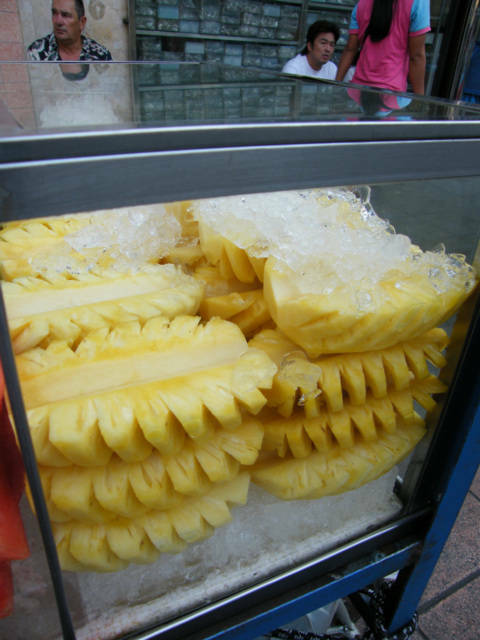 I never purchase a Pineapple in Thailand, it cost 24 Baht in the store, I can purchase a whole Pineapple prepared and iced down for 20 Baht, however normally I purchase half for 10.